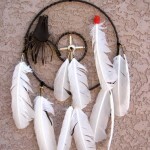 The outer circle of the Medicine Wheel represents the universe and your circle of life. The cross represents the Four Sacred Directions. The circle and the cross draw from the universe and bring into your circle of life good medicine and protection from misfortune and harm. 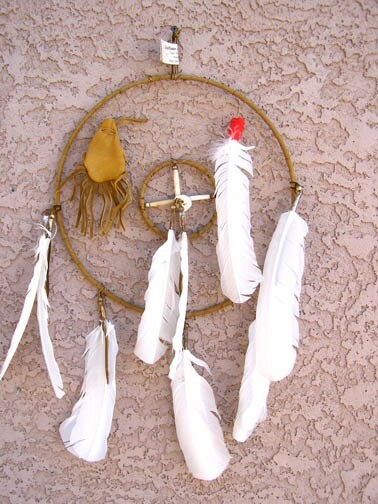 Ojibwe legends speak to us of the dreamcatcher. 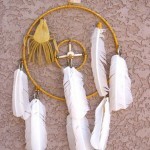 It is believed that each carefully woven web will catch your dreams in the night air. The bad spirit dreams will become entangled in the web and disappear in the new day. 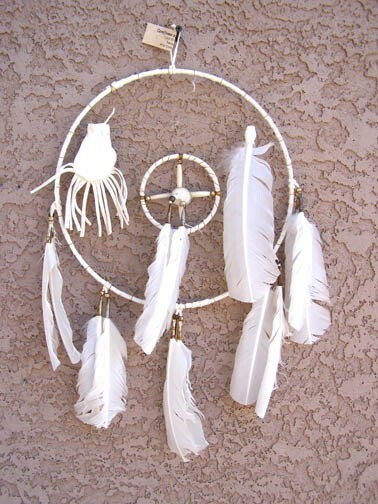 The good spirit dreams will always find their way through the center opening and gently float down the sacred feather to bless the dreamer with peaceful dreams. 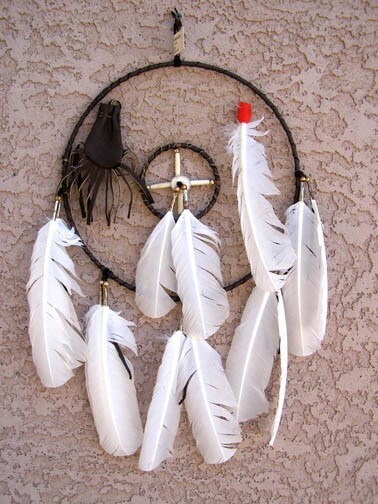 This dreamcatcher captures the beauty of this sacred legend. 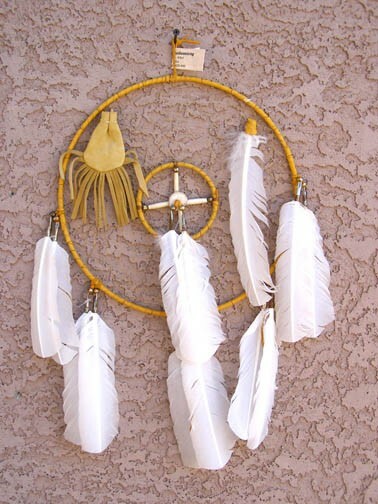 This is a Dreamcather & Medicine Wheel combination item measures 12 inches in diameter & is available in white, gold, brown & antiqued gold which we sometimes refer to as Old Style because the antiquing process makes the leather look word & distressed which makes it look old. 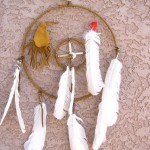 It also features a small medicine bundle & lots of feathers for added decor. Legend Card and Certificate of Authenticity included.